Trust our experience to take your project from start to finish with the latest technology! In 1951 Stanley Williams Jr founded Wilco Die-Tool-Machine Company and started out in his father's small garage. Shortly after Stanley Williams Jr brought in his father Stanley Williams Sr. They then moved into a small building where they made metal dies as well as injection and compression molds for electronic and medical products. In 1970, the company built and moved to a new 6,000 sq ft building in Maryland Heights, MO. In 1974, Wilco was consumed by a devastating fire. This was definitely a turning point in the company, Stan could have easily closed up shop and been done. Instead, he not only rebuilt but expanded at the same time and doubled his shop to 12,000 sq ft. 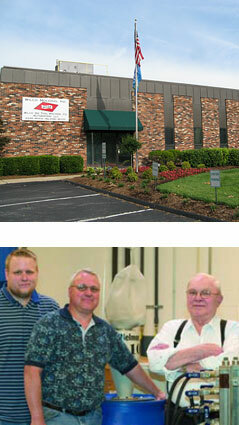 In 1975, Stan expanded again, with his son, Kim Williams, to form Wilco Molding, Inc. Starting with just 2 machines, Wilco was now a custom plastic injection molder as well as a tool and mold machine shop. In 2004, Wilco outgrew their facility once again and moved to their present building at 2435 Rock Island Blvd, Maryland Heights, MO. In 2008, Wilco purchased an automation company and named their third operation Wilco Automation, LLC. By adding the automation aspect to its arsenal, Wilco can offer the complete package to its customers, even past the point of supplying parts. At this time Wilco is utilizing over 30,000 sq ft for its 3-company operation with room to expand. The fourth generation of Williams is also involved as Kim's son, Mark Williams, is responsible for the IT Department, the Quality Department and ISO. We currently mold products for a wide array of industries, which include: Medical, aerospace, agricultural, fire protection systems, industrial electric motors, military, consumer protection devices, swimming pool supplies, food packaging, home and commercial appliances and many more. We can help take your idea from concept to product utilizing our prototyping capabilities, or scale-up from machined parts to injection molded parts for lower costs and better consistency. Our tool shop uses both SolidWorksTM and Cad-keyTM to give you computer-aided drawings to show what your part will look like . We have toolmaking, maintenance, and repair all in house so down time is minimized. Wilco is here to get you what you need when you need it. We utilize molding machinery ranging in size from 55 to 500 ton, both electric and hydraulic. We optimize our personnel by utilizing robotic part handling and automated processes.